The Ember Days: So what? The Ember Days are a strange item on the Church’s calendar. They are “traditionally observed on the Wednesdays, Fridays, and Saturdays after the First Sunday in Lent, the Day of Pentecost, Holy Cross Day, and December 13” (BCP 18). The name comes, most likely, from the Latin Quatuor Tempora, or “four seasons,” so the Ember Days mark the four seasons of the natural year rather than seasons of the Church year. Various sources link the Wednesday, Friday, and Saturday observance to the early Christian practice of fasting on Wednesdays and Fridays attested to in the Didache (ca. 60 AD) and to the Roman practice of fasting on Saturdays, too. Since Pope Gelasius I instituted the practice in 494, it also became customary for the Ember Days to serve as days for ordinations. The faithful would join the ordinands in fasting on Wednesday and Friday, and the ordination would happen (as is still pretty common) on Saturday. To mark these days in the Daily Office, it would be natural simply to use the first collect on Wednesday, the second on Friday, and the third on Saturday. You will notice that the third collect is the same as one of the Prayers for Mission (BCP 100) that we use regularly in Morning Prayer. So what? Why should we care about the Ember Days? Well, let me bring it closer to home and give you some examples. Four times a year, the Ember Days specifically focus not just the COM but the whole Church on praying for all Christians in their vocation. Today is Ember Wednesday, so we pray for those to be ordained. In our case, the next ordination in the Diocese is that of Fr. Matt Gunter, who will be ordained as our new bishop on Saturday, April 26. Today I pray not only for him but also for all who are working to make that ordination service a celebration of our life and ministry here in northeastern Wisconsin. On Ember Friday, we pray for the choice of fit persons for the ministry. The COM just began offering a group discernment process called Circles of Light for all who are interested in seeking God’s will for their ministry, and of the 10 people in the group two think they might be interested in the diaconate and two in the priesthood. I’ll pray especially for those four people this Friday. On Ember Saturday, we pray for all Christians in their vocation. This Saturday, I’ll be with the young adults of the Diocese at a Happening weekend, and I can’t think of a better time to pray for vocation than with high-school age Christians. Who might you pray for during this Ember Week? Even the Far East was affected by the Ember days. In the sixteenth century, when Spanish and Portuguese missionaries settled in Nagasaki, Japan, they sought ways of making tasty meatless meals for Embertide and started deep-frying shrimp. The idea caught on with the Japanese, who applied the process to a number of different sea foods and vegetables. 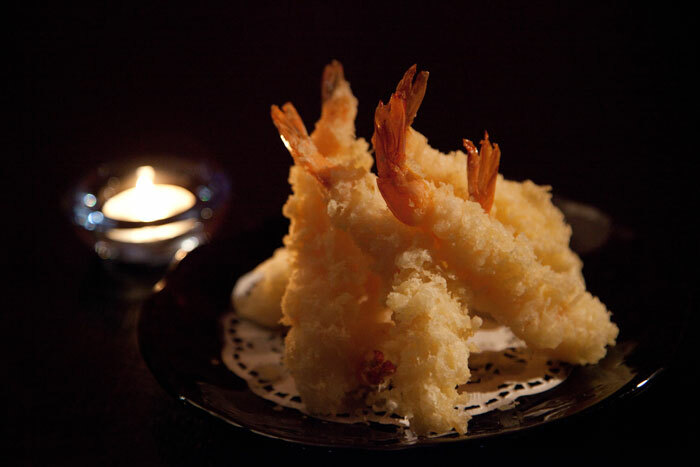 They called this delicious food—have you guessed it yet?—“tempura,” again from Quatuor Tempora. So next time you’re out for sushi, take a moment to pray for those about to be ordained, for the choice of fit persons for the ministry, and for all Christians in their vocation. You’ll be glad you did. This entry was posted in Book of Common Prayer, Daily Office and tagged bishop, COM, Commission on Ministry, deacon, diaconate, Didache, Diocese of Fond du Lac, Ember Days, Happening, ministry, ordination, priest, priesthood, sushi, tempura, vocation on March 12, 2014 by Rodger Patience.